Bangalore, officially called Bengaluru, is the capital of Karnataka. It is the second fastest growing metropolis of India and also the fourth highest GDP contributor after cities like Mumbai, Delhi, and Chennai. Bangalore is popularly known as the ‘Silicon Valley’ of India for being a major IT hub of the nation. IT moguls like Wipro and Infosys have their headquarters in the city. The bustling cosmopolitan city with an all-year-round pleasant climate has many cafes, shopping malls and restaurants for a luxurious and upscale lifestyle. There are many notable institutions located in the city such as Defense Research and Development Organization (DRDO), Indian Space Research Organization (ISRO), Indian Institute of Science (IIS), Indian Institute of Management (IIMB), National Aeronautics Laboratory (NAL) and National Law School. 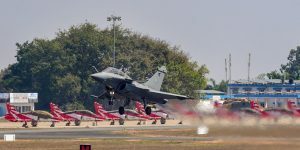 Aero show 2015 is organized by the Defence Exhibition Organization, Ministry of Defence, Government of India, every two years around the same time in Bangalore, Karnataka. Lalbagh Flower Show 2018 for republic day 2018. Lalbagh Flower Show 2018 dates, parking, entry fee, opening timings and much more. What is the relation between Bangalore and World War I? Board Game Groups in Bangalore – Have You Rolled the Dice?